A soft cover edition of Pogamasing and can be purchased through this website for $30. Postage is $15.00 for mailing within Canada. The book can also be ordered through this website and payable by interact, Pay Pal or cheque. 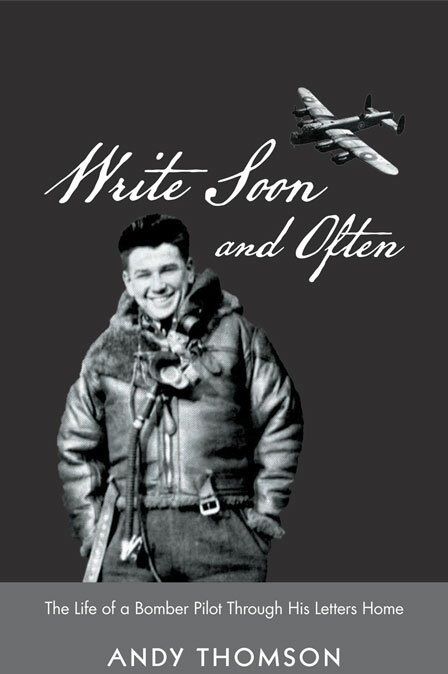 Write Soon and Often (soft cover) can also be purchased through this website for $25 plus $6.00 for mailing within Canada. American Orders – Unfortunately the postal charges are much higher so request a quote as it varies from state to state. All other orders – please request a quote. If you live in Toronto area there may be a possibility for a pick-up. Please email me and I’ll see what can be arranged. I am a member of the Scout Troop that has paddled the Spanish eighteen (18) times since 1987. I would be extremely interested in getting several copies of your book. Please advise when they might be ready. And yes, we’ll be there again this summer – usual dates. Delighted this much anticipated event is now happening. I would like to order three books and will do so via your order forms here. Congratulations. I have yet to write my first story. I look forward to reading this interesting story very much. Hello Andy, I think I met your mother in the distant past, and certainly remember Mandy from New Liskeard days. I also know the Bob Plaunt family in Earlton. His grandaughter lives closeby on Montreal’s West Island. I am exploring our connections with the FX family of Montreal lately. We are quite an interesting and very varied bunch, c’est certain. A microcosm of the macro. Do you know Bruce Taylor’s history, The Plaunt Family of Renfrew? Bruce is threatening to print another run!! I believe my father Graham Plaunt (1913 to 1985) spent the winter of 1929 and 1930 in a camp, like the one you refer to. He was raised in Northcote (FX Plaunt was his father) and travelled with 30 horses by train to the camp for the winter and came back with the horses in the spring. The camp was owned by WB Plaunt. He spoke of going to Capreol (train) once each week to get supplies for the camp. Do you have records of people who worked in the camp? We are planning to go to Picton during the winter. Could I meet you to get three of your books ? I will email to confirm our trip. In 1929 my grandfather was operating on the CNR around the north end of the east branch of the Spanish River. It was known as Mileage 71 – 71 miles from Sudbury Junction – and I suspect that was the logging camp where your father worked. In that same year my grandfather began to set up his new mill at Wye on the CPR.I don’t have personnel records for the Wye operation or Mileage 71, although I do have a few photos. I had records of Mileage 71 but they weren’t much – inventory lists of materials, supplies and mostly food items. The only persons mentioned were foremen in charge of the ten different camps. I live in Toronto so how does that fit in with your travel route? If you are coming through here to Picton I could meet you at a pre-arranged spot. I have most of the Plaunt family trees so I may have your as well. You will notice that several other Plaunts have also contacted me in other pages of my website. Thanks for the notice. I’ll be in touch with them and try to get more copies to them. You could also try Gold Direct on LaSalle as they have copies. Who is your mother in law? Five copies of my book were delivered to Ramakko’s about three weeks ago so I hope you were able to obtain one. Just wondering if you are still selling these books? I am from Sudbury but currently living in the GTA. It is easier for me to pick one up but if you are still shipping them up to Sudbury I will be there over easter so I can try to get one then as well! French River Trading Post, Ramakkos and possibly Gold Direct. I was in Fr. Riv and Ramakkos two weeks ago and they had books so you should be able to pick one up. If that doesn’t work we could arrange a meeting place here but I will be away until Apr. 23. Wondering if the book can still be ordered on-line. This would make a great gift for Al Constantineau’s 80th birthday. Al now resides in California, but Pog was his very favourite get-away spot. His uncle (Ernie Constantineau had a camp beside the Spanish river at Sheahan. 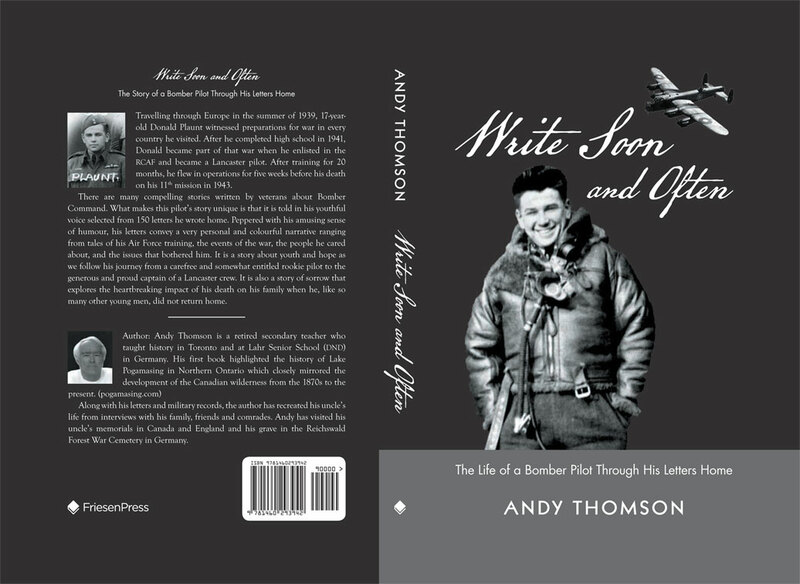 I live in Ottawa, so if the book can be obtained on-line, please let me know how I can order. Yes you can – just following the instruction in How to Obtain book under the headiung About the Book. Sorry for the late response but I just noticed your query. Ron – I now can see your whole message and the date it was sent. I interviewed Ernie and have some of his stories plus a few of his cousins the Dubreuils. As I said earlier, just follow the instructions as outlined and I’ll send the book. My sister informed that his son Gary passed away this week. My mother had fond memories of living in the area. She spoke of how good The Plaunts were to her family. Her maidan name was Florence Dubreuil / Bois / Squires she is pictured with some of her siblings. FYI she passed away five years ago at the age of 86. I believe you spoke to her as you were gathering information for this book. I haven’t purchased it but intend to do so in Sudbury in the near future. ? Thanks for getting in touch, I talked to your mother almost 12 years ago, or more, about her life in the village of Wye. She sent me a write up of her recollections and I devoted a page in my book to her memories. I remember calling her back after the book was published but I think she was suffering from dementia and didn’t remember my call. I heard from Chris Grimard – see Reader’s Stories – who gave me the names of the four Dubreuil children, your mother being one of them, I included in my book. I think Gold Direct may still have a few copies but call them first.